Over the years I have been keeping reasonably up to date on the findings and theories concerning the shroud of Turin. Every year something new emerges as various scientists seek to understand this enigmatic burial shroud. No matter what one thinks of the shroud, it certainly is a mystery. 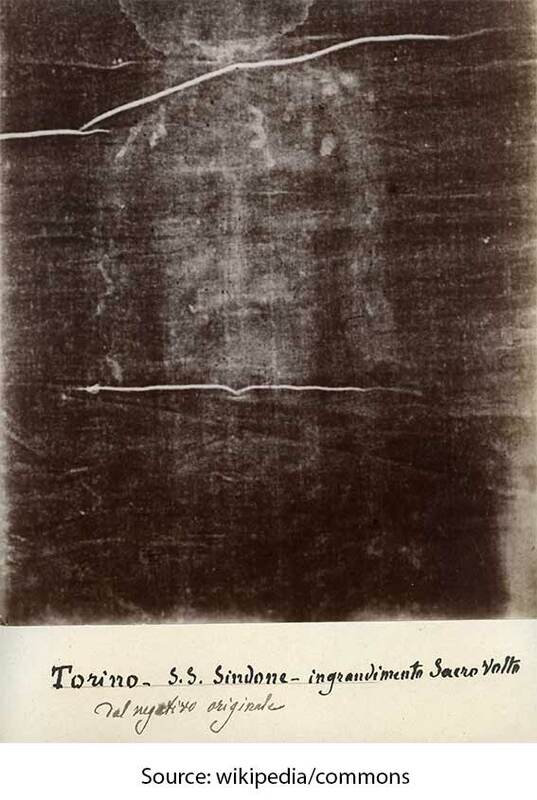 In 1898 it was photographed for the first time and this led to an intriguing discovery: the image in the shroud is a negative. Up to this time most sceptics thought that the image was simply the work of a skilled medieval artist trying to cash in on the relics market. However, the discovery that the image was actually a negative put this idea under a lot of pressure. Recently artists and scientists have attempted to reproduce such an image using pigments, dyes, rubs, heat treatments and so on. Their results are interesting but far from compelling. Besides, current microscopic examination of the fabric shows no evidence at all of any pigments. In 1988 carbon 14 dating indicated that the shroud originated in the middle ages. More recently, however, facts have immerged which prove that the process was seriously flawed and that the cloth could well date back to the first century. Since 2003 a number of articles have appeared in reputable scientific journals seeking to make sense of the shroud and its image. A popular hypothesis is that the image was formed by ammonia derivatives from a human body interacting with carbohydrate residue in the fabric (the Maillard reaction). But this doesn’t fully explain the remarkable image. It seems that the image in the shroud is a sort of 3D terrain map of the body it covered. Because of this quality, researchers have been able to use modern computer techniques to develop a full reproduction of the body. In 2010 the History channel aired a documentary showing the results of this process. The resultant 3D image shows a man with abrasions in his face, shoulder, and knees. The scourge marks of a cat-o-nine tails are visible and the wound in the side, wrists and feet are unmistakable. Every Easter the Christian church remembers the death and resurrection of the Lord Jesus Christ. I am grateful that scientists and sceptics, although they may not believe, continue to wrestle with the possibility that this pivotal event in biblical history may well be historically and scientifically verified. If it was verifiable, would this effect my faith in any way? No, but it sure would make an unbelieving world sit up and take notice.